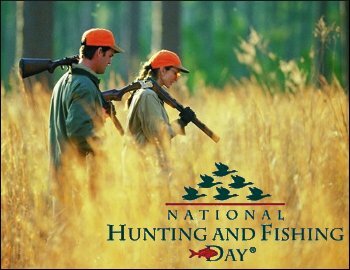 National Hunting and Fishing Day (NHF Day) takes place on Saturday, September 24, 2016. The annual celebration serves as a reminder that conservation succeeds because of leadership and funding from hunters, shooters and anglers. National, regional, state and local organizations will run thousands of “open house” hunting- and fishing-related events around the country. Events will include Fishing Derbys, Hunting Expos, Wing-shooting tournaments, and much more. Over four million Americans will participate. For information on NHF Day, visit www.nhfday.org. To find NHF Day events in your state, click the links below. Share the post "September 24th (Saturday) is National Hunting & Fishing Day"
The economic growth America’s firearms and ammunition industry experienced last year was driven by an unprecedented number of Americans choosing to exercise their fundamental right to keep and bear arms and purchase a firearm and ammunition. Also cited in the Economic Impact Report were the significant taxes paid by industry member companies to federal and state governments and the Pittman-Robertson excise tax — a major source of wildlife conservation funding in America. “In 2009 our industry increased its contribution to wildlife conservation by over 37.6 percent, which translates into sportsmen contributing more than $7.5 million dollars daily to conservation efforts,” said NSSF General Counsel Lawrence G. Keane. 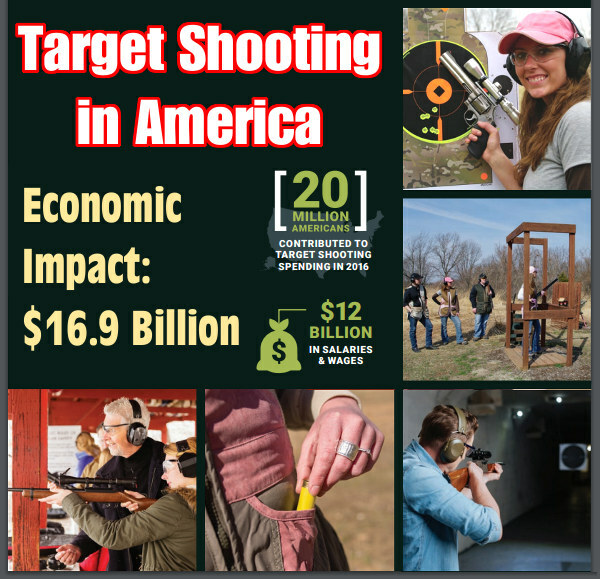 Share the post "Annual Economic Impact of Firearms Industry is $27.8 Billion"
National Hunting and Fishing Day (NHF Day) takes place next week, on Saturday, Sept. 26th. The annual celebration serves as a reminder that conservation succeeds because of leadership and funding from hunters, shooters and anglers. National, regional, state and local organizations will run thousands of “open house” hunting- and fishing-related events around the country. Events will include Fishing Derbys, Hunting Expos, Wing-shooting tournaments, and much more. An estimated four million Americans will participate. For information on NHF Day, visit www.nhfday.org. To find an NHF Day event near you, click the link below. Hunting and angling together are an economic force worth $76 billion a year, and it is estimated that 1.6 million jobs depend on hunters and anglers. Moreover, conservation programs depend on hunters and fishermen for funding. Through licence fees and excise taxes, hunters and anglers contribute $1.75 billion per year, for wildlife, fisheries and habitat programs. Share the post "National Hunting and Fishing Day Set for September 26"